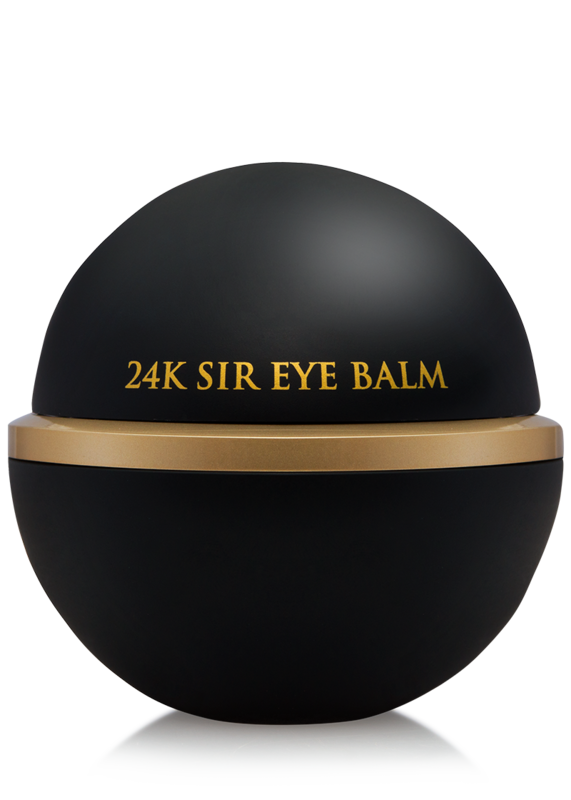 The 24K Intensive Eye Formula Cream is specifically designed to minimize the look of dark circles, puffy eyes, and crow’s feet. The powerful infusions of Retinyl Palmitate and caffeine work to promote skin elasticity around the eyes while giving skin a more rested appearance. Enjoy a fresher, more vibrant look with this moisturizing formula. Use daily under the eyes as part of your skin improvement routine. 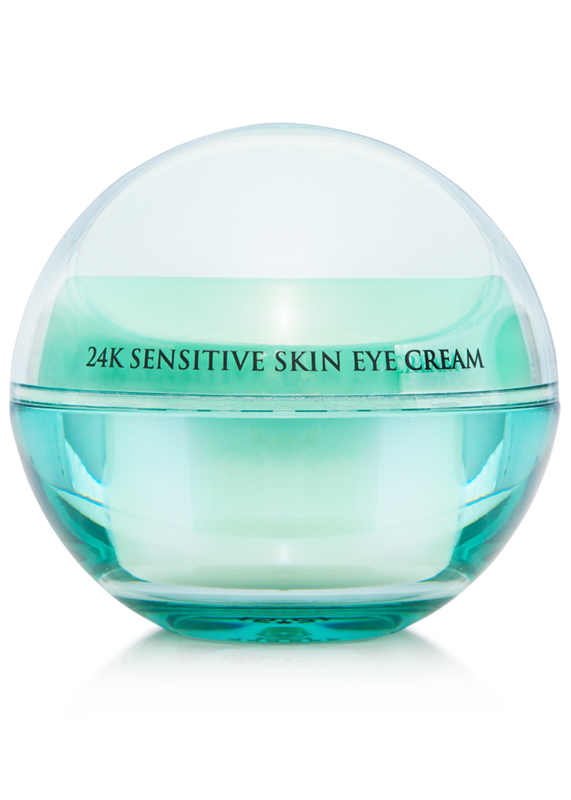 Use in conjunction with the 24K Intensive Eye Serum. For best results, use in combination with the 24K Intensive Eye Serum. We suggest dispensing about the size of a small bead. This should be more than enough cream for the entire undereye area. A little goes a long way! I just bought it last night. So far so good. I like it. This cream is Amazing! 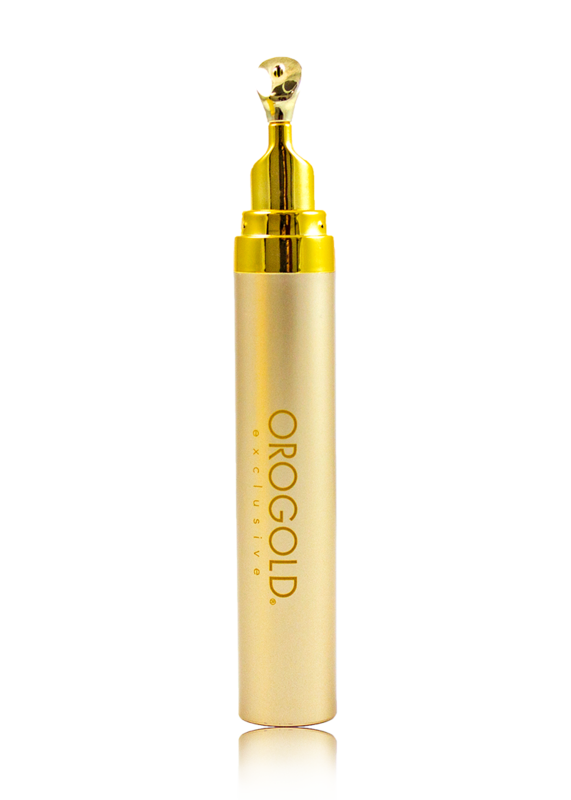 1st discovered Orogold Cosmetics while vacationing in Maui and now I’m hooked! 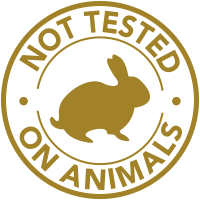 – I use the 24K Intensive Eye Formula Cream when I’ve had a late night and need to look my best in the morning…really tackles under eye puffiness and gives a dewy finish. It is so nice to finally find a product that does what it says – can’t imagine using anything else ever again! Thank you Orogold! Within seconds of use you begin to see a dramatic difference in regards to eye puffiness, but the true magic begins after a few days when you begin to look radiant and youthful. Very good product. Works well! Instantly see a difference and you don’t even feel a thing on your skin! I have tired it and it really works well.I will ask everyone to go with it. I bought this cream about 1 month ago when i had gone to the Valencia shopping center mall. After 2 weeks i had noticed the lines around my eyes are starting to go away, my eyes also feel nice. 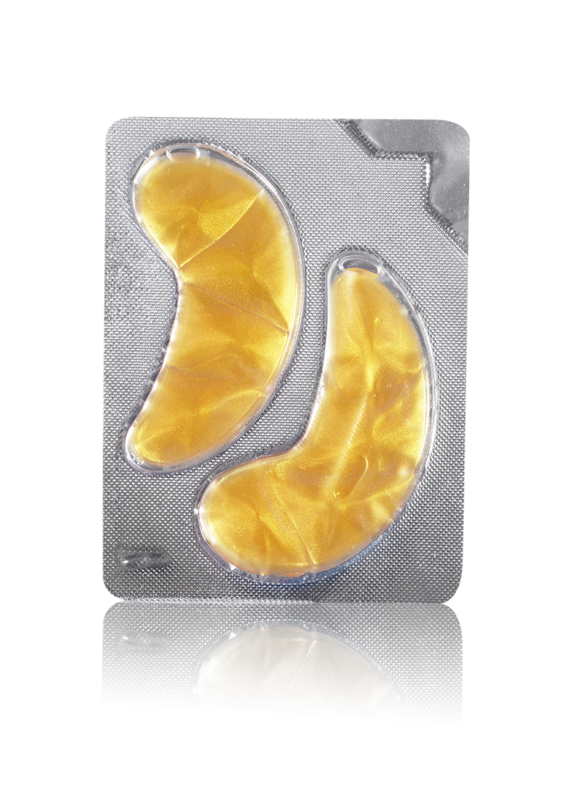 I love this product and recommended it to all my friends. My eyes look more relaxed and youthful with this eye cream. I really like the way it gives my eyes a glow. Love this product. I would buy again when I can afford it. The most luxurious and the best eye cream I have ever used. My dark circles have been reduced drastically and I love it. Your 24-hour moisturizing day cream is incredible. I have had an on-going problem with eczema patches on my face since 2011, and this is the only product I’ve found that is soothing, does not clog my pores, and leaves my skin looking better. Thank you! A little pricey but still a good product. My mom loves it and it leaves us feeling refreshed. Great feeling when I don’t have enough sleep! I went to Orogold to purchase the 24K Deep Peeling and 24K Multi-Vitamin Day Moisturizer. The employee mentioned the eye cream when she heard me complaining about my dark circles. She recommended the 24K Intensive Eye Formula Cream and she applied a sample under my eyes. I was shocked at how well I noticed a difference in just one use! However, I wasn’t able to afford it at the time. Even though I don’t use it regularly, I would still recommend this product to anyone with dark circles or bags under the eyes. 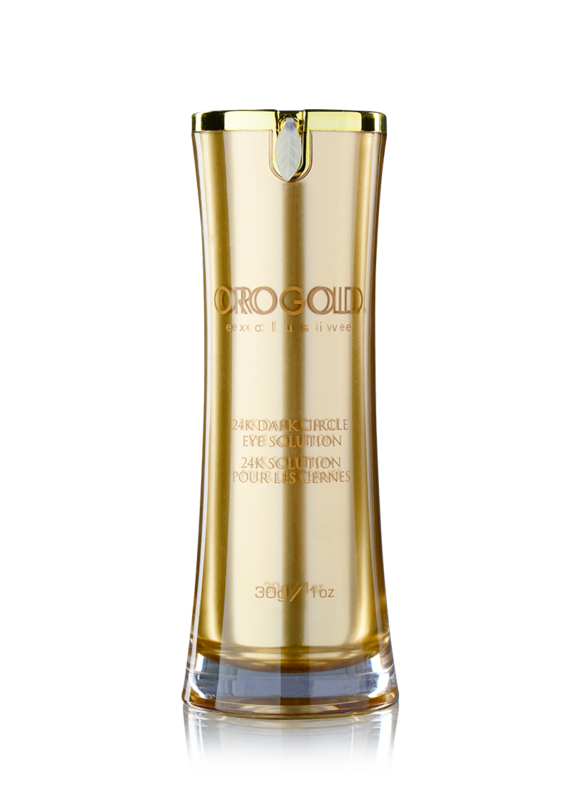 In the near future I will return to Orogold specifically for this product! I did get to try on a sample and it was great. Very luxurious and velvety to the touch. The silkiness of the serum on my fingertips made me smile. could not believe the results after the first time I used it. After just 3 short weeks No Crows Feet, No bags, eyes look alive again. I am 61 and have spent thousands of $$$$$ on products that say work like magic, and don’t. I could not believe I have actually bought something that works and the more you use it the better you look. I will never use anything else on my skin. This is an amazing product,I noticed an improvement within ONE wk,I also have the peel,moisturising cream,vit c serum and scrub-unbelievable products.Worth every penny. Pretty good so far; feels good. Brightens. 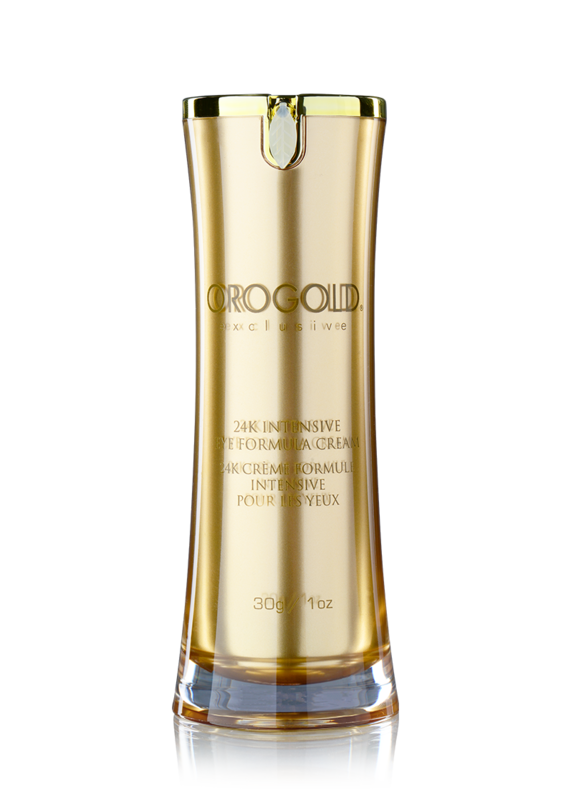 I used this product after trying several moisturizing creme, which all led to break outs and irritations, OroGold is defiantly worth every penny of mine , it’s hard to believe a product like this works in the universe! Very satisfied with this product. After 2 weeks, wrinkles around my eyes have diminished and the puffiness under the eyes is completely gone, My eyes feel great and look younger. I would definately recommend this product, especially to other middle-aged women. I bought the 24K Intensive Eye Formula Cream and have noticed that it reduced puffiness under my eyes and I looked more refreshed. It reduced the appearance of my fine lines and wrinkles and lightened the dark circles under my eyes and made my skin look and feel velvety smooth. The super-effective natural ingredients of this cream produce really impressive results for the most sensitive are of the face, the eye area. From the very first use the eyes feel less tired and look fresher, while a more frequent use of the cream reduces the persistent signs of tiredness, even diminishing the fine lines around the lines, while providing deep moisturizing. 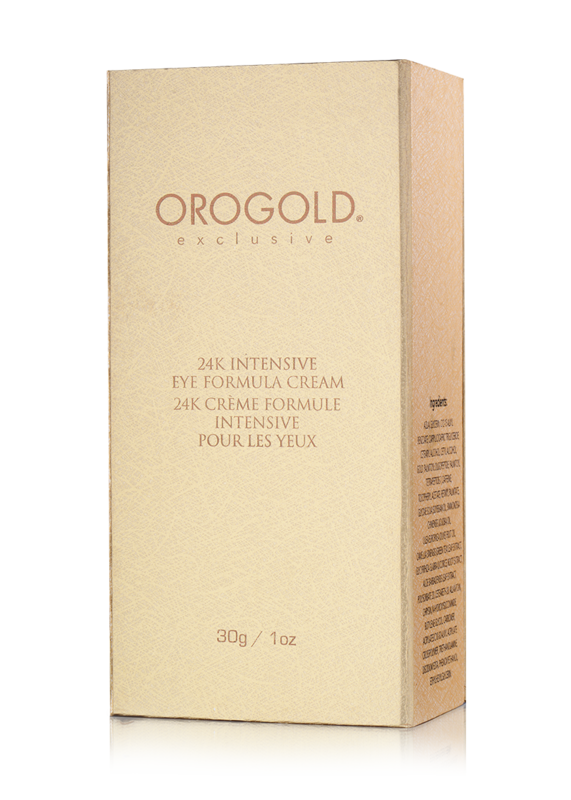 Everyday for the past three weeks, my girlfriend has have me apply the Oro Gold eye cream to both the top of my brow bone, below and around the eye. 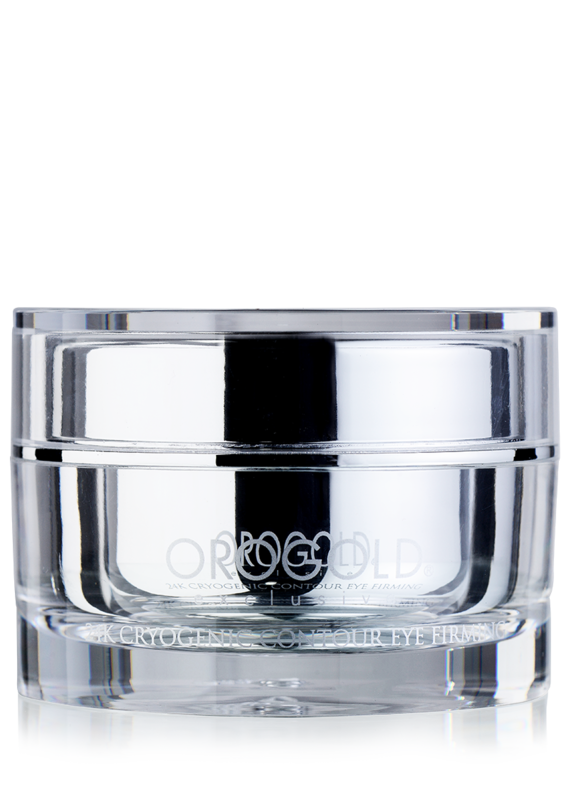 I have been auditioning for a major photo shoot and from some of the products I have tried, I can visibly tell with the Oro Gold eye cream the lines around my entire eye area has dramatically decreased. I have tried other eye creams including Murad and the Oro Gold eye cream by far surpasses in terms of quality and effectiveness. I would recommend this product to all my friends. This eye cream is fantastic: it’s effective, it’s pleasant to use and it’s made out of the best ingredients out there. this does wonders. love this and the moisturizing cream!! I purchased this cream over a month ago. I had been using a skin care regime from another product line in the past. However after using the 24K Intensive Eye, I immediately noticed that what I had been using did not give me the the amazing results that your product does quickly! Needless to say, I love the results and will definitely recommend your product to my friends. 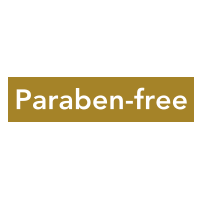 I have been using this product since April and I have noticed that it has made a significant different in the diminishment of fine lines under my eyes. This product feels great on my skin too! I would highly recommend this product. Expensive but by far the most reliable product. The cream makes you feel relaxed and super moist. Price matters but skin is most important so definitely the best for any price. This the best cosmetics line I’ve ever used. love the demo, even though its a little expensive i love how it makes my skin feel. Words cannot express the results achieved by using this eye cream! The puffiness and crow’s feet were instantly improved. The joy on my face was also instant!! I love this product. i was walking through the Galleria Dallas mall while on a business trip and saw a gentleman giving out samples of the face cream which i had tried before and he took me in the store and used the eye cream on one side of my face and wow!! what a difference it made! so i bought it!! I was a little worried about the price but the results are worth ever penny! I can’t wait to try more products!